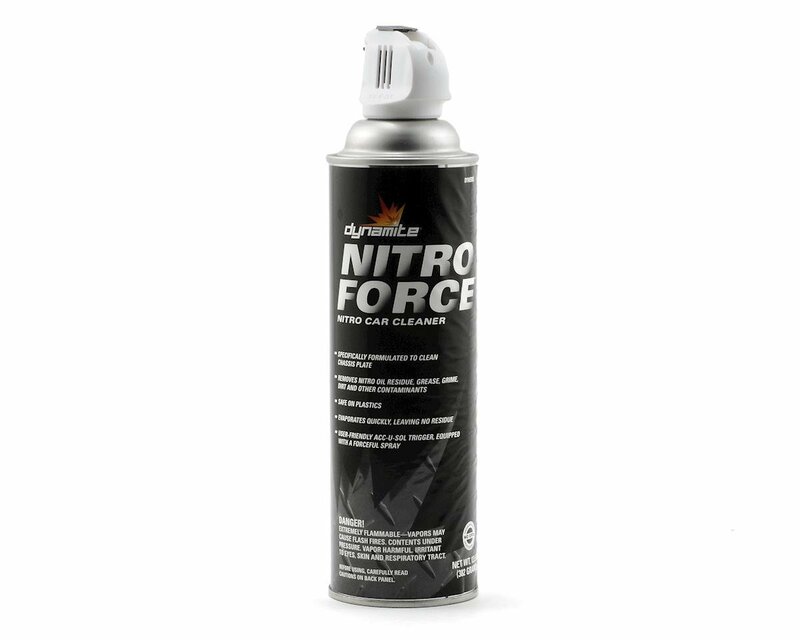 Nitro Force from Dynamite is the easiest, most effective way to clean any nitro car or truck. Specially formulated to remove oil residue, dirt, grease, grime and more, it prevents residue buildup so nitro vehicles stay in great shape. The Nitro Force formula is also safe on plastics, car bodies and radio gear, so users don’t have to worry about damaging any of their components. The quick-evaporating formula dries in seconds without leaving any film or residue, and it is environmentally safe.